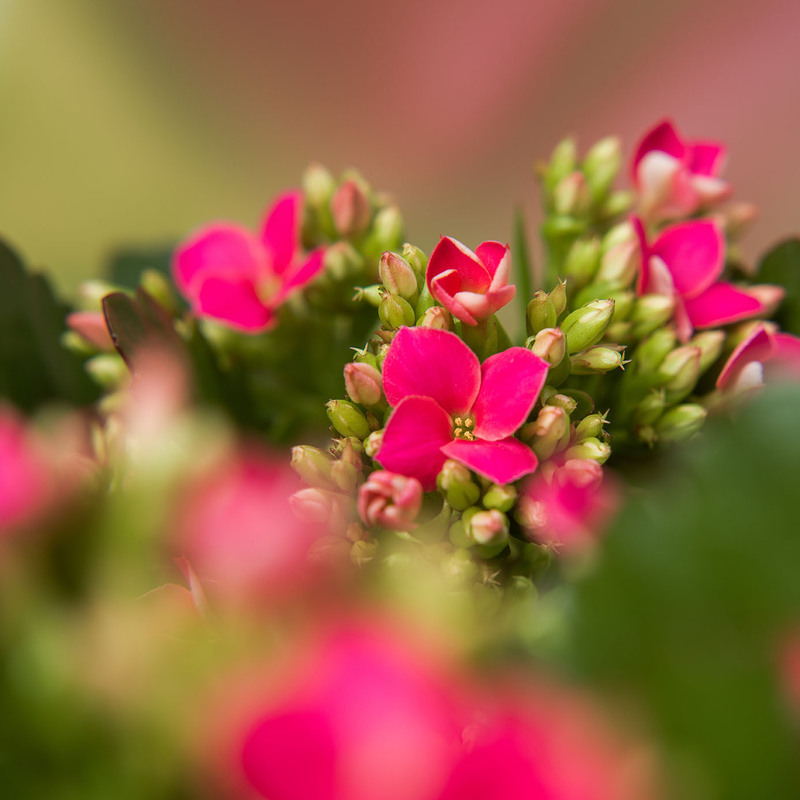 Plants that are a feast for the eye and provide a colourful boost in both the home and garden. You can find them all in Vilosa’s range. 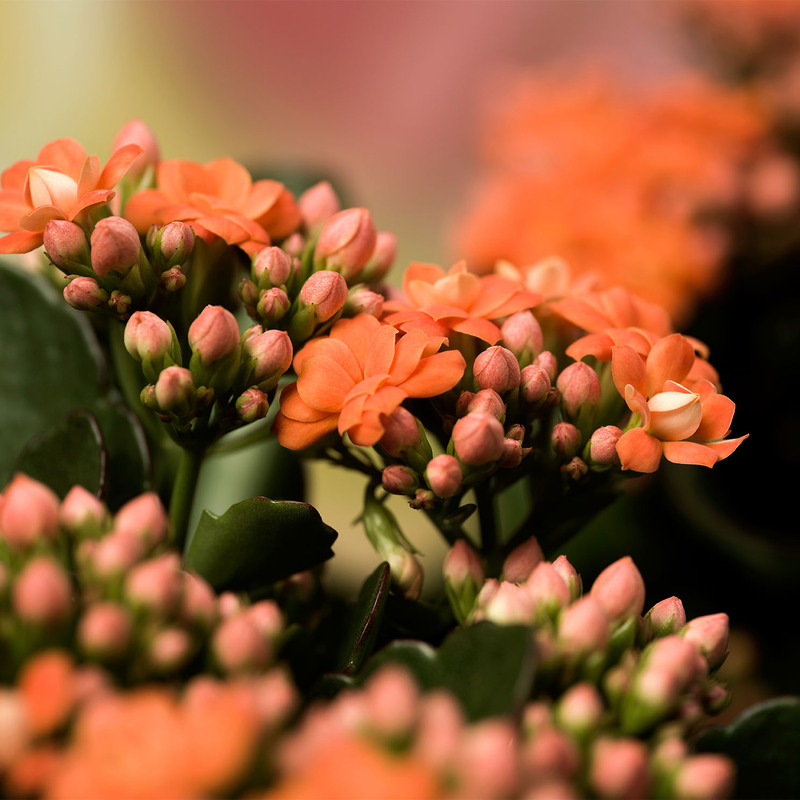 The Kalanchoe is an ideal plant. Versatile, easy-care and offering exciting varieties and colours. The special seasonal products such as Celosia, a stunner with its dazzling colours. A seasonal product that flowers throughout the summer until well into the autumn. 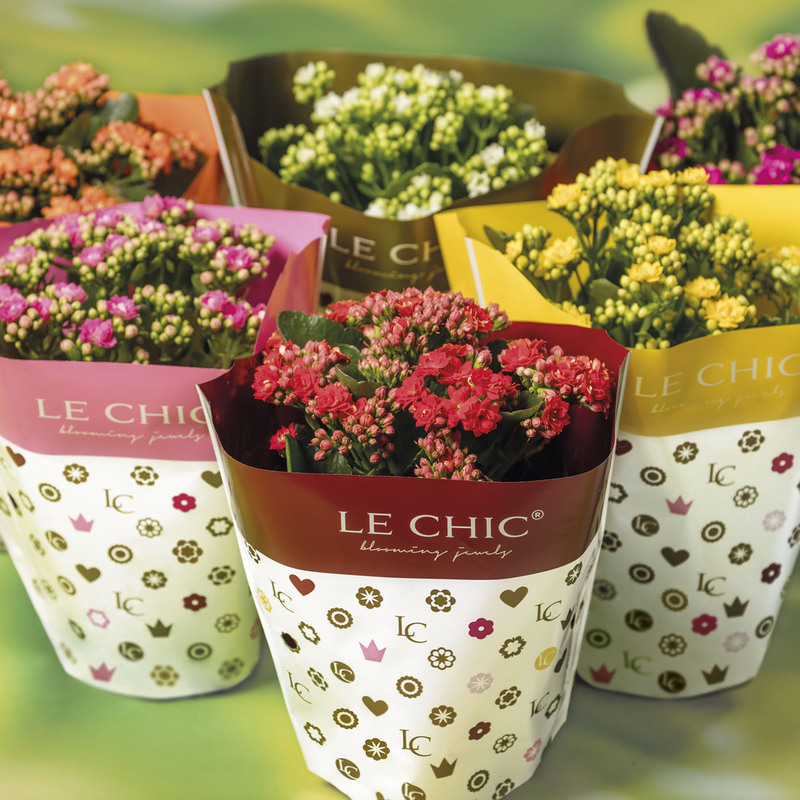 Calanday is a stylish brand for the single-flowering Kalanchoe. The various colour options ensure that every day can be a ‘Calanday’! 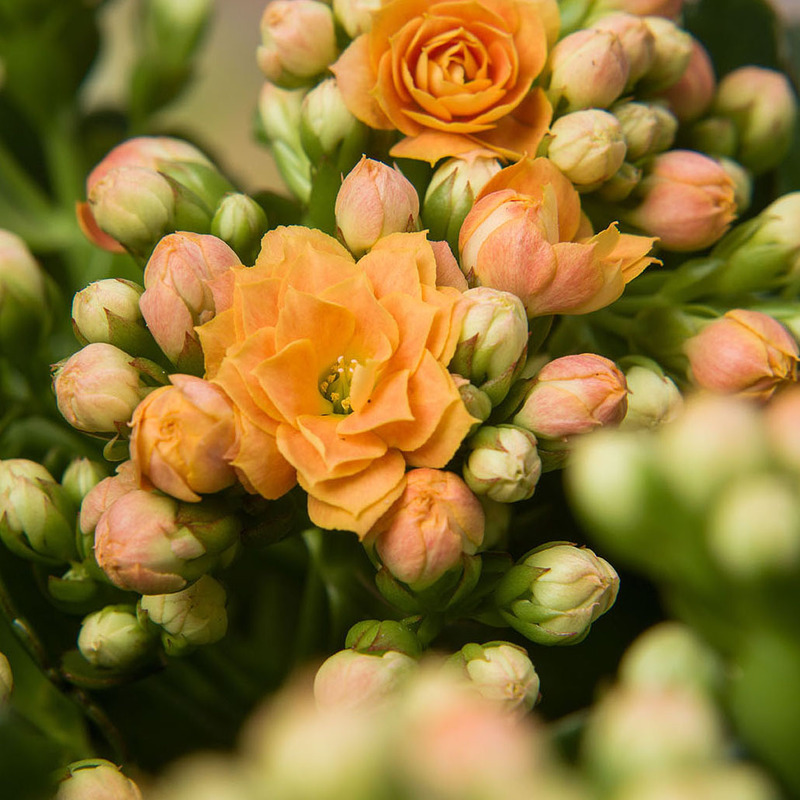 The first double-flowering Kalanchoe to be developed. Its romantic rose-shaped flowers contribute to its unique characteristics and beauty. 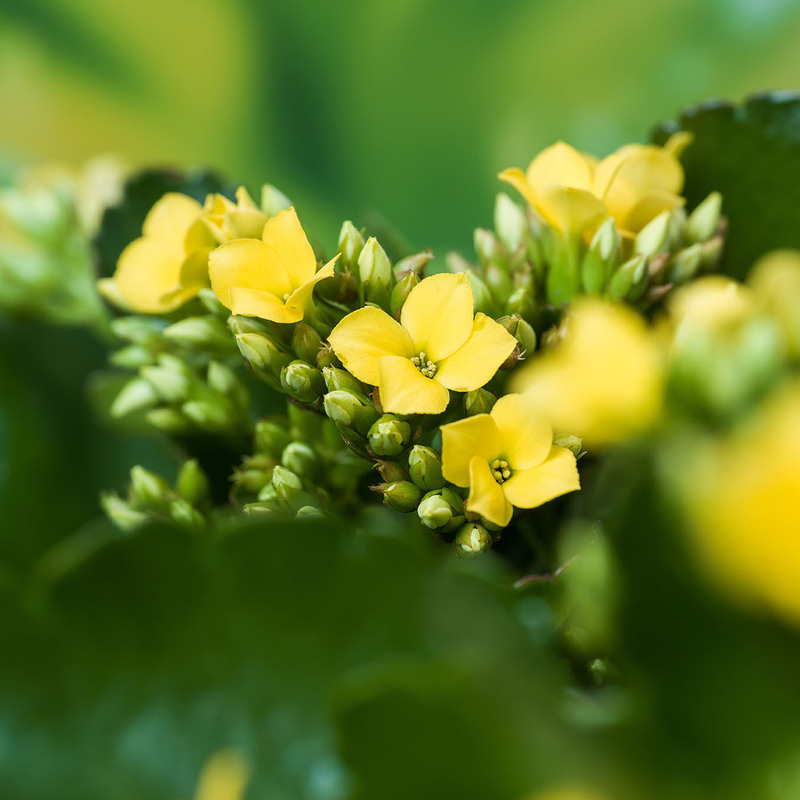 Unique because of its eye-catching characteristics: exceptionally large flowers with a minimum diameter of 2 cm and beautifully coloured buds. A real seductress! 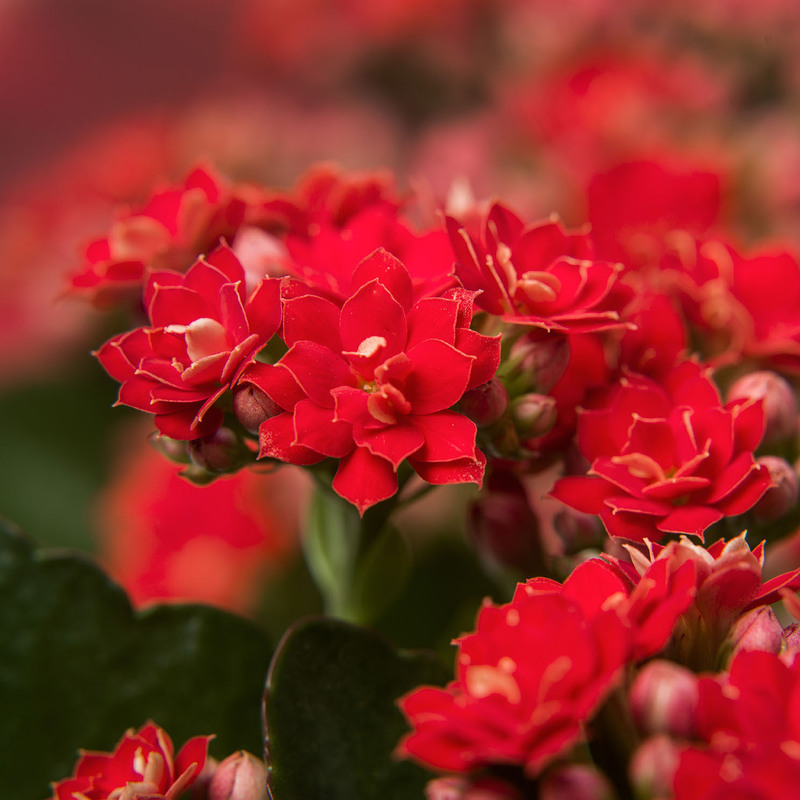 Rosalina™ is an exclusive series of double-flowering Kalanchoe varieties. The shape of the plant and the dense umbel full of double flowers creates a luxurious and romantic feel. 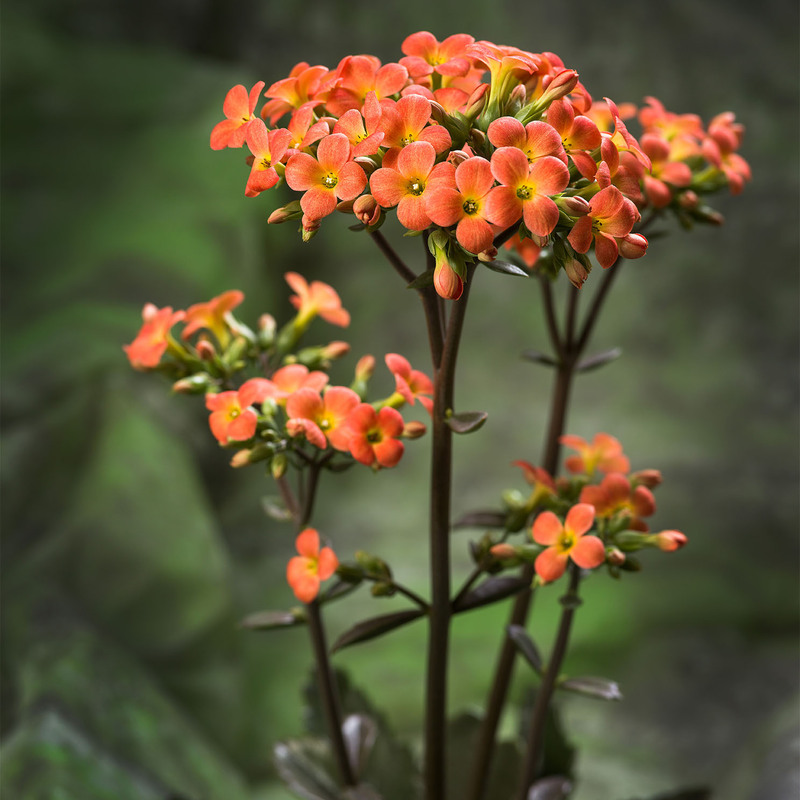 A Kalanchoe with a botanical look thanks to the serrated leaves and long flower stems. The unusual tips produce large umbels with orange flowers. Beautiful clusters with pale green ‘grapes’ from which remarkable vermilion flowers emerge. 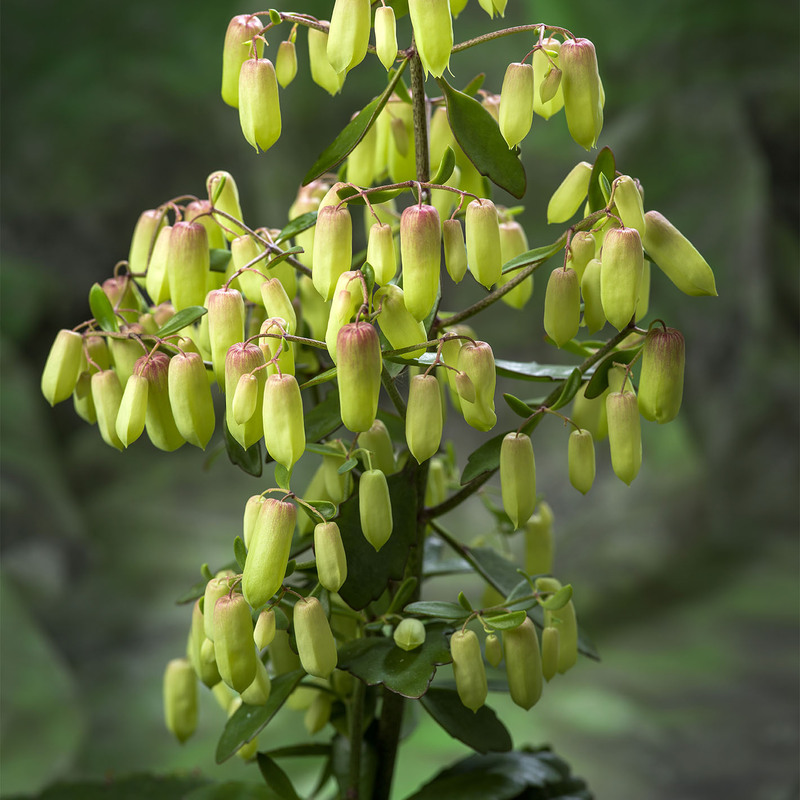 Kalanchoe Magic Bells is a surprising houseplant! An unusual pot plant with elongated serrated leaves and long flower stems. 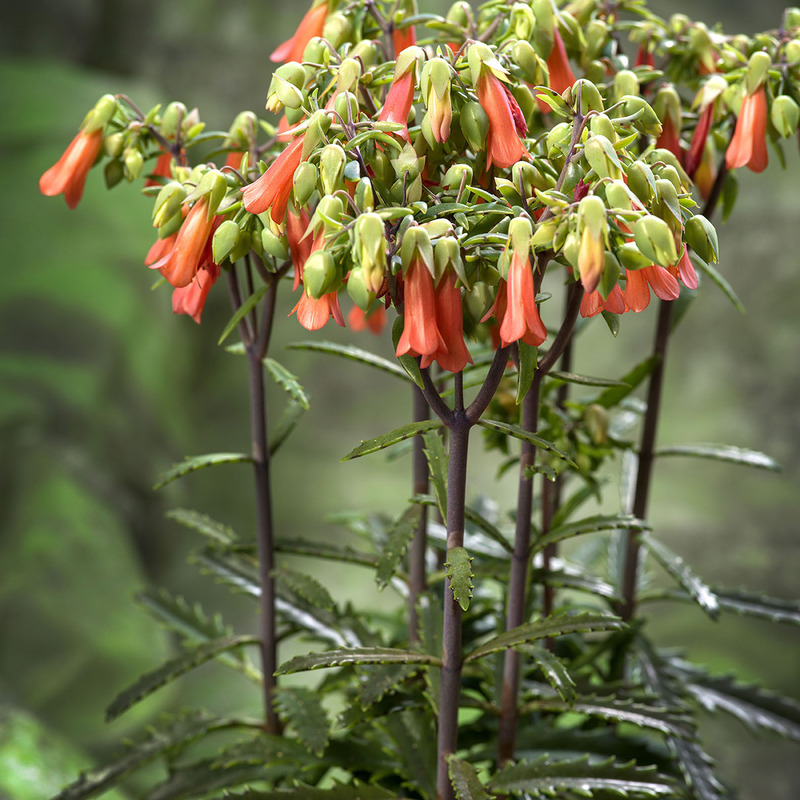 The flower clusters with vermilion flowers are reminiscent of bells. 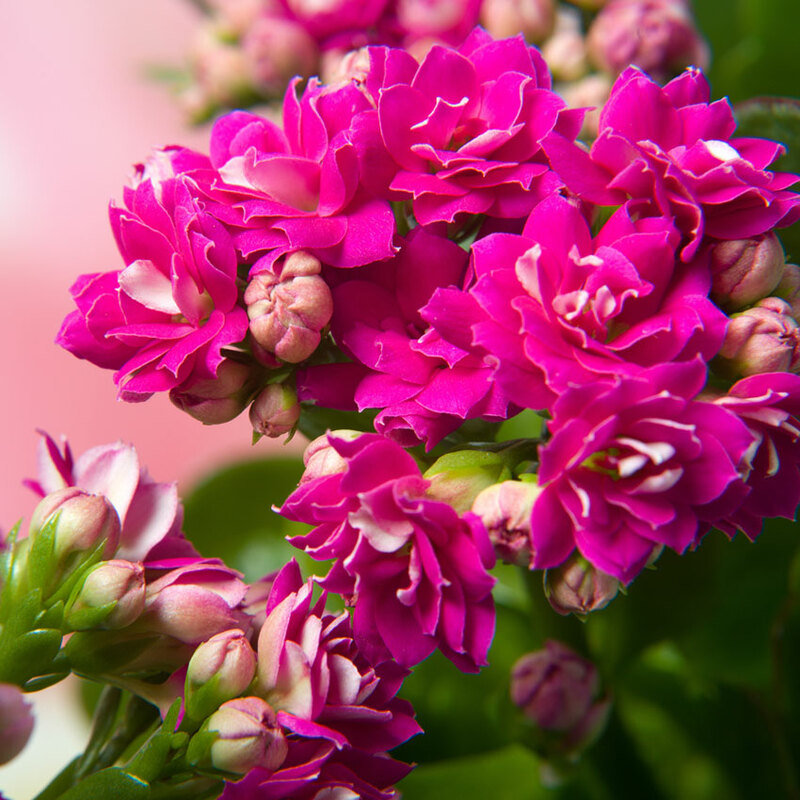 Kalanchoe Garden is a strong outdoor bloomer for the patio, garden or balcony. From one specific colour to a varied mix of colours, this brand’s colour palette offers something to suit every taste! Double-flowered petals and the many flowers in various colours brighten things up outdoors for a long time. 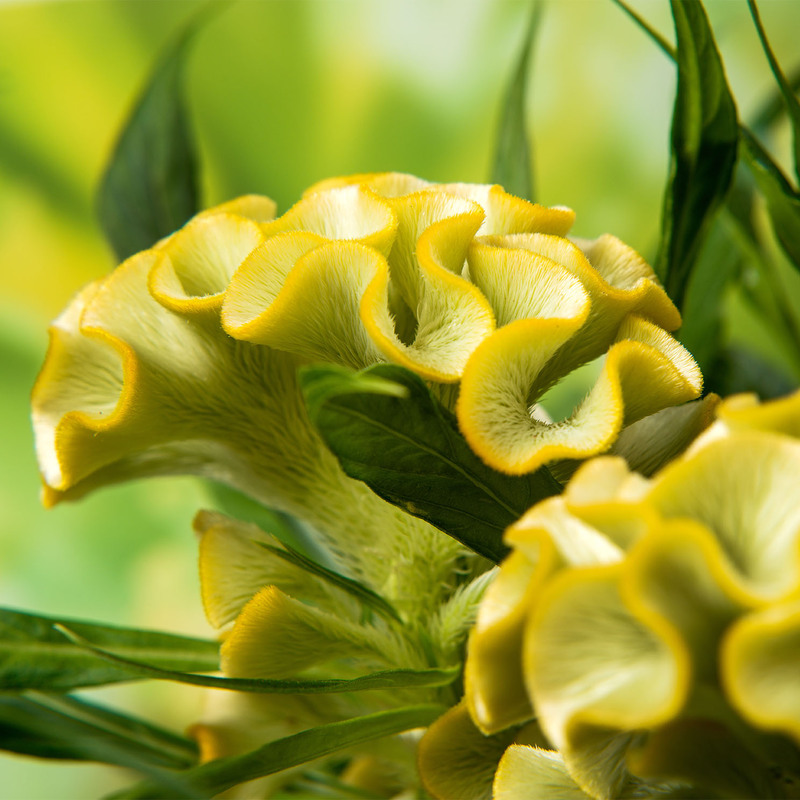 A stunner thanks to the flower’s twisted shape and eye-catching bright colours. A seasonal product that flowers throughout the summer until well into the autumn. 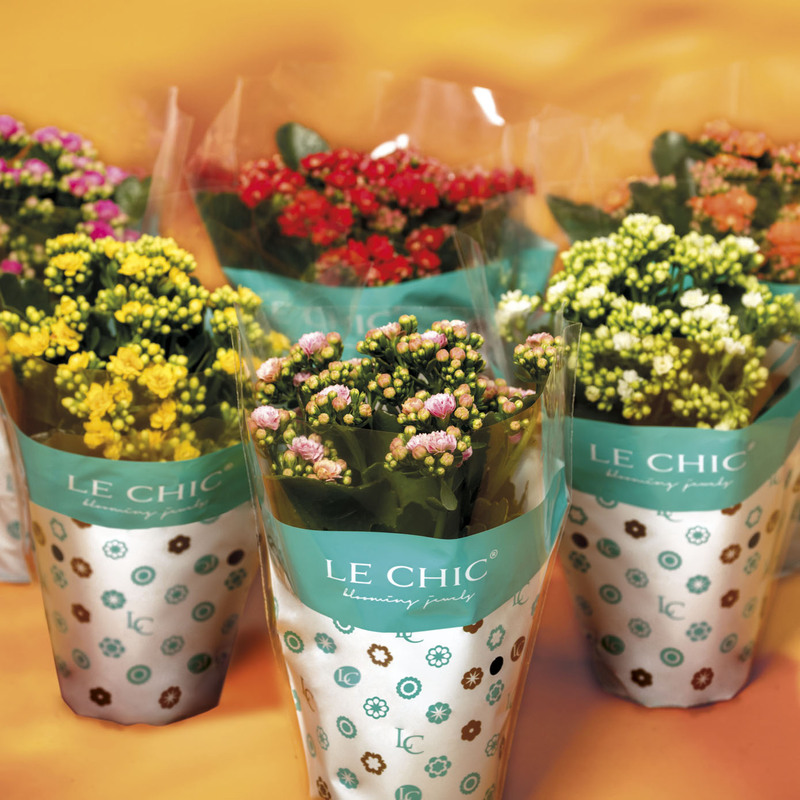 Our premium brand Le Chic VIP Blooming Jewels is reserved solely for pot plants that meet the highest quality criteria. An eye-catching display thanks to the matching ton-sur-ton sleeve! Le Chic Original Blooming Jewels is a brand that stands for high quality! The sleeve stands out thanks to the combination of colour and icons, whilst also providing the consumer with a good view of the Kalanchoe. 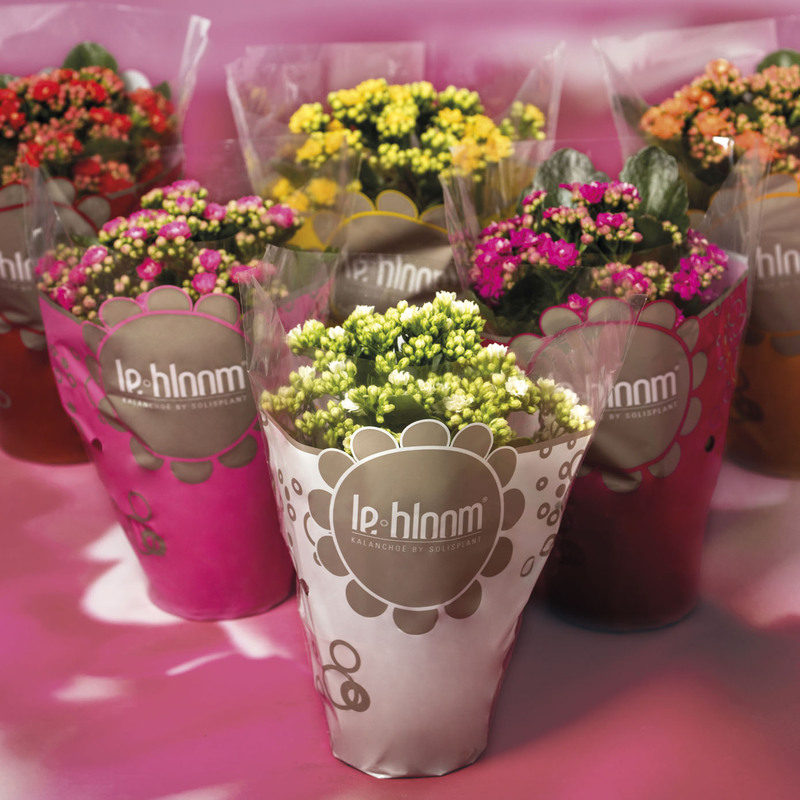 Le Bloom has been developed for the special segments, and can be found on the auction clock every day. These products are available in a stylish ton-sur-ton and taupe sleeve.